E-Commerce is the capability to make money online. This includes taking orders, processing payments and fulfilling orders. EZ-NetTools has integrated great business tools with your website account that allows you to manage orders and view statistics about products, referrals and customers. You will learn how to configure your payment options, taxes, shipping options and checkout. Joseph West, presenter. Part 2 of the E-Commerce and EZ-Catalog series will cover how to create and mange categories and products. We will also show how to choose a layout style and customize your catalog design. You will see examples of how to customize your catalog to be similar to your website, look the same or even exceed your imagination. Tyler Schwendiman, presenter. This easy step-by-step tutorial will show you how easy it is to setup an Authorize.Net Gateway in your e-commerce account. Shipping can be a complicated beast to master. 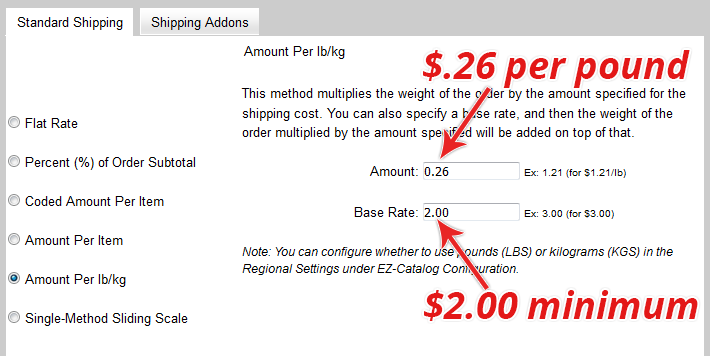 This tutorial will help you figure out the best way to set shipping prices. 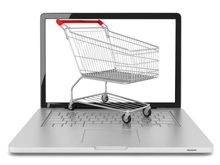 This basic course will help you set up a simple online catalog and e-commerce web site. You will learn how to add Categories and Products. You will configure basic shipping and payment options. Finally, you will learn how to link to your catalog pages. Coupons for discounts have been a great tool for successful merchandisers in brick and mortar stores and online e-commerce sites for years. The reason is simple, they work. Coupons get shoppers into the store, get shoppers to purchase more items, and bring back shoppers again and again. This course will walk you through setting three simple coupons. This course is intended mainly for new EZ-NetTools customers who have hundreds of products to add to EZ-Catalog. You will learn how to add products to your catalog using one of the three catalog spreadsheets. You will learn how to build an interface to the EZ-CheckOut process using a customized form or passing data from another server. Several sample forms are given. Once the purchaser is passed to this API, they will be processed through the complete check out process including address, shipping, and payment information. Upon completion of the process the data will be stored in the order files as if it had come from the EZ-Catalog system. This course assumes you have a solid understanding of HTML and data exchange technology. This process will only work in E-commerce account types. Ever wanted to adjust the price of a product based on quantity? This video tutorial will show you how to add bulk discounts and price points to your products.